Eating Las Vegas on $20-$30/Day - We realize you might be on a budget. But, you also want three meals a day. We created this page to show you places that you can eat three meals a day and in any combination will only cost you $20 to $30 for the day. We do not figure drinks, tip, or tax in this list, those are all up to your discretion (except the tax, of course). This is the 03/30/13 version, and will be updated on a regular basis, so keep checking back with us. Players Club Deals - When you enroll in players clubs, you get more than just a chance to earn comps. Several clubs now get you deals on their buffets, even if you're not staying at their hotel. For example, Stations Casinos has a deal for their Boarding Pass club members at Aliante Station, Boulder Station, Palace Station, Santa Fe, Sunset Station, and Texas Station. At those casinos, show your Boarding Pass Card and you'll get $4 off breakfast (getting the price to $4.99), $3 off lunch (the new price of $7.99), and $5 off dinner and Sunday Brunch pricing (getting it down to $9.99). At Green Valley Ranch (GVR) and Red Rock, the net price for breakfast and lunch is the same, but due to a better variety of foods at dinner and Sunday Brunch the net (with $5 off for Boarding Pass holders) is $13.99. Always check the pricing boards at the entrance to buffets as there are also several dining deals for Total Rewards members at Caesars Entertainment properties. You just have to be sure and show your Total Rewards card. Silverton has a discount with their Rewards Club. See their menu pricing HERE. Also, if you are 50+, check for deals that are available on certain days of the week. Restaurant.com - A site that will save you money! Get a certificate for $25 worth of dining for $10, or $50 for $20. Be sure and sign up for their e-mail deals and you'll save even more on your dining dollars. One sale was for a $25 certificate for $7. Later in the month, the deals get even better. If you use the link above, this site will pre-load with the 89119 zip code for Las Vegas. Be sure and read the caveats (drinks included or not, lunch only, etc) and since many restaurants have multiple locations, make sure the location is the one you want to go to. You can even preview the menu of restaurant you're wanting to purchase for from the site. 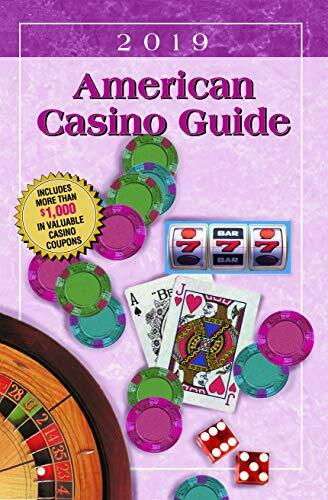 American Casino Guide - This book has a lot of good information and a new edition, with different deals, is published every year. There is a guide to gaming, explaining all the games you will encounter at a casino and how to play them. A state-by-state casino listing, and the coupons! There are two-for-ones restaurant/entertainment deals, gaming deals and $ off coupons. We've used it and saved a good bit of money. We've purchased the book in the past for around $12 and you can save that much in one meal! We'd appreciate if you'd order through Amazon on the click-thru listing on the side of the page. Las Vegas Advisor - The LVA Member Rewards Book (MRB) is part of the website subscription ( $40.50/yr) and is well worth the price. The price includes LVA mailing the MRB to you and issues of the LVA monthly newsletter you can print locally. You can save $3.50 if you pick up the MRB at the publisher's office, but we think it's better if they mail it to you. If you prefer, for $50/yr they will mail you a hard copy of the newsletter and mail you the MRB. Be careful when subscribing, as sometimes they give you the option of the current year or the next year when selecting the issue of the MRB you want. If you're not going to Las Vegas by the end of the current year, be sure and select the next year's MRB. If you just want a shortcut to order the MRB, just click here. Either subscription gets you entrance to the forums and that can be a wealth of information for you. The MRB has many two-for-one buffet deals and $ off coupons that help your dining dollars go much further. We recently used a two-for-one deal at GVR and paid just over $5 for two breakfasts (when we combined it with the Boarding Pass Pricing). Groupon - As discussed elsewhere on this site, Groupon can save you money. Many of the restaurants that you will have a choice of are local and you might not see them if it weren't for Groupon. Just be sure and add Las Vegas to your list of locations to pull deals from, along with your own locale. Living Social - Just like Groupon, Living Social can save you money. Be sure and add Las Vegas to your list of locations to get deals from.